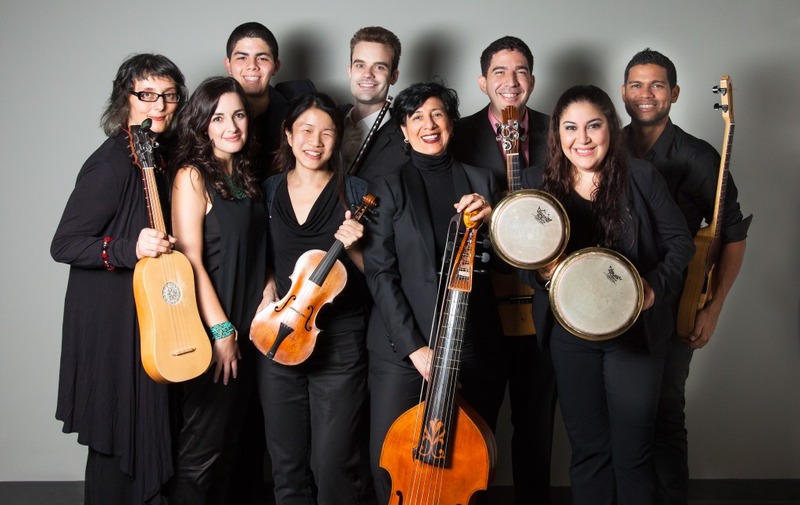 Rumbarroco, performing Saturday, specializes in 14th and 15th century southern Spanish works. Rumbarroco. Photo by Anastasia Sierra. Early Music Now opens their 2015-16 season this Saturday with a concert by a Boston-based ensemble – Rumbarroco – that challenges traditional perspectives of western classical music. The diverse communities of Andalusia (southern Spain) experienced a “Golden Age” while much of Europe was in the Dark Ages. A creative mix of Moslem, Jewish and Christian influences created music, art and architecture that deserve more attention. Some of the influences can be found in the music in rest of Europe several centuries later, as dance rhythms from this overlooked era brought energy to the Baroque music of J.S. Bach in Germany and François Couperin in the courts of France. The thread less followed by scholars of Western Music concerns the spread of Spanish music to Spain’s colonies in the Americas. Rumbarroco celebrates the revitalizing, reciprocal alchemy that results when early Spanish, Sephardic, and Andalusian music meet the indigenous, African, and folk rhythms of Latin America. Saturday’s concert features infectious dance rhythms performed on early instruments gently plucked — Baroque guitar, theorbo, cuatro — as well as the pleasing resonance of the viola da gamba family of instruments: bowed instruments preceding the violin, viola and cello. Two vocalists offer the poetry of romance and of celebratory faith. The mix works well to introduce a selection of Baroque and Renaissance works from Spain and from Latin America that are refreshing and timeless. You’ll find a review saluting this “ensemble of world-class musicians” here. Rumbarroco will perform in an early evening concert at 5:00 p.m. October 17th at the UW-Milwaukee Helene Zelazo Center for the Performing Arts. Ticket prices range from $29-$46 for adults, and $10-$15 for students. They are available online at www.earlymusicnow.org, or by phone at 414-225-3113. Online and phone orders close Friday at noon, but Tier 3 tickets can be purchased at the door.